Boole, George. An Investigation of the Laws of Thought: On Which Are Founded the Mathematical Theories of Logic and Probabilities. London: Walton and Maberly, 1854. The book has leather binding with raised headbands with a horizontal line of gilt on each headband. 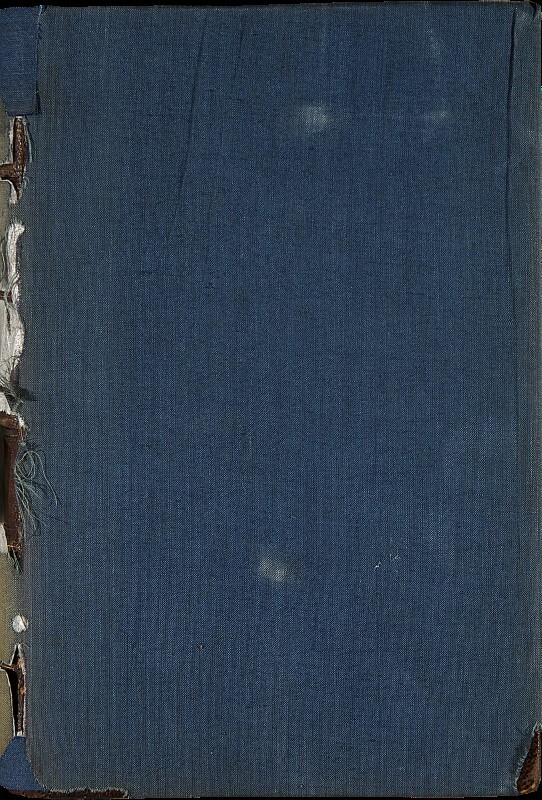 The leather binding is covered with blue cloth. The blue cloth on the front pastedown is held together with cord as is the blue cloth on the back pastedown. In addition there are marbled endpapers at the front and back of the volume as well as brown and cream headbands on the top and bottom of the spine which are present to protect the spine when taking the volume from a shelf. 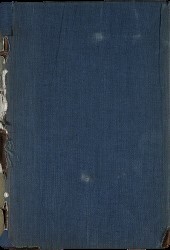 In addition to Boole’s signature on the title page there is an embossed stamp of "University College Cork Library" in the right bottom corner. The work is dedicated to John Ryall who was a friend of Boole’s and Vice-President and Professor of Greek at Queen’s College Cork. The Laws of Thought followed The Mathematical Analysis of Logic, being an Essay towards a Calculus of Deductive Reasoning (1847) and is the founding work for algebraic logic as a discipline. The Laws of Thought engages with logic and probability. When it was published Boole was Professor of Maths in Queen’s College Cork. You may notice that in the index we have placed square brackets around a page number e.g. . This is to indicate that the print copy does not have a page number on that page but to let the reader know that they are on the first page. To distinguish between the various sides of the pages we have used the terms ‘recto’ and ‘verso.’ ‘Recto’ is the front side and ‘verso’ the back or reverse side. Traditionally ‘recto’ and ‘verso’ are used with older books or manuscripts but we have used the convention here. You may also notice that at the foot of certain pages are numbers and letters for example “C 2” on page 19. These most likely are signature markings and are used to help binders assemble the sheets of a book into the right order. Before the mechanisation of the printing industry in the 19th century books were printed not as single leaves, but as sheets with varying numbers of pages per side. This means that one sheet of paper might contain, once properly folded many leaves: 2, 4, 8, or 12. The key thing is to keep track of folding the sheets in the right direction so that the leaves end up in the right order and to keep track of the order of the sheets so that when the multiple gatherings are bound together, the text proceeds in the correct order. Today we generally use signatures to locate ourselves in a book. This project was generously funded by an EMC Heritage Trust Project.